Will we need wing mirrors in the future? Home › Advice › Will we need wing mirrors in the future? 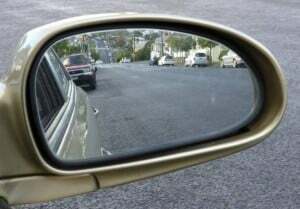 Wing mirrors – also called side mirrors or door mirrors – help the driver or rider see what’s at the side and behind them. Despite their usefulness in reversing and changing lanes, cars and bikes didn’t used to have them but they became more and more popular in the 1960s as safety awareness improved and traffic levels increased. Recently, companies like Tesla have been lobbying to have them removed. Why should we get rid of wing mirrors? Modern wing mirrors are more than just a mirror. When these mirrors were first introduced they were simply a round disk of glass in a metal housing attached to the side of the car or bike on a stalk. Now (on cars, especially) they are large moulded plastic units which create a lot of drag (2-7%) which increases the amount of fuel used and the amount of wind noise generated. Removing the wing mirrors makes a vehicle narrower and makes it easier for pedestrians to pass between parked vehicles. They are full of technology – heavy electric motors which add weight to the vehicle, plus on more expensive models there could be lights, cameras and sensors for functions such as blind-spot monitoring or reversing camera views. Their positioning is such that when a new driver gets in the car or on the bike, they will almost certainly be in the wrong position, meaning time wasted adjusting them, and it’s not like every driver or rider knows how to effectively set the mirrors anyway! Mirrors end up being something that drivers and riders take their eyes off the road to see, but don’t always know whether they’re super-effective. In fact, mirrors can still leave blind spots (see here how to set your mirrors properly). Autonomous vehicle technology will also become increasingly prevalent to warn us of vehicles in our blind spots and to take over driving itself. Why do we still use wing mirrors? The majority of large governments require them on vehicles. To change legislation takes time and someone to push the legislation through. The legal ramifications of getting it wrong mean there’s a strong force preserving the status quo. A mirror is very efficient at reflecting light and doesn’t have any lag (time delay) from the image hitting a camera then being converted into pixels to be displayed on a screen. They are (generally) robust and easy to replace. The public are used to them and we accept that wing mirrors will be on cars – in fact, if you look at a car without them, it can seem like something is missing. Even the multi-million dollar Koenigsegg One1 has two standard wing mirrors. Screens and cameras are now incredibly cheap. Cameras and screens could not only replace wing mirrors but rear-view mirrors, too (something which is already common in many supercars that have restricted visibility). Camera technology is improving, and it won’t be long before cameras that are sensitive enough to work on a spectrum from almost pitch black through to blinding sunlight are very common. 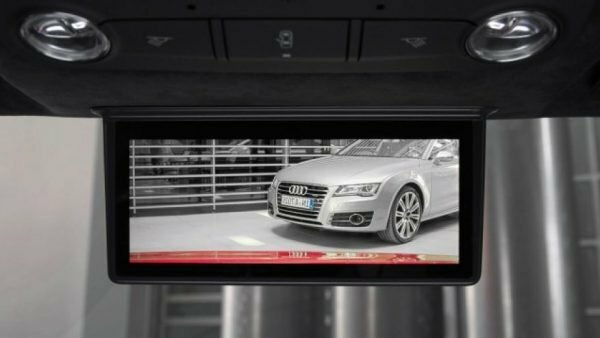 The cameras can project an image onto screens within the vehicle that are positioned in a place which means that the driver doesn’t have to move their eyes so far from the road ahead. While camera technology isn’t good enough yet to provide performance like a real mirror, it does have one huge advantage: the image can be engineered to have zero blind spots. As we mentioned above, people don’t always know how to set their mirrors properly. A camera, however, can be set to the optimum position based on the vehicle, while the image is displayed on a screen within the vehicle, and this means that no adjustment is required. On motorbikes there are new helmets with projected displays that would mean the rider doesn’t have to turn their head to see the mirror. Cameras can be on the bike or the helmet itself. Heavy vehicles have many more blind spots than cars, so video technology could be used to augment mirrors, or to reduce the number of mirrors needed. Cameras can be fitted to the back to the trailer and to the side of the vehicle. Will we see a change? When governments around the world amend automotive rules so that vehicles don’t require rear-view mirrors we will start seeing more creative ways of allowing drivers to see behind them. In the meantime there is no reason that automotive manufacturers can’t double up with both a camera and a mirror (the 2013 Honda Accord NT does this for the passenger-side mirror), but automakers are price-sensitive so while glass mirrors are mandated, there’s no urgency for them to replace them. There is also the issue of mirror failure. If the camera is covered or dirty, or the screen brakes, there’s no visibility at all. At least with a conventional mirror that’s cracked, it usually retains some function. 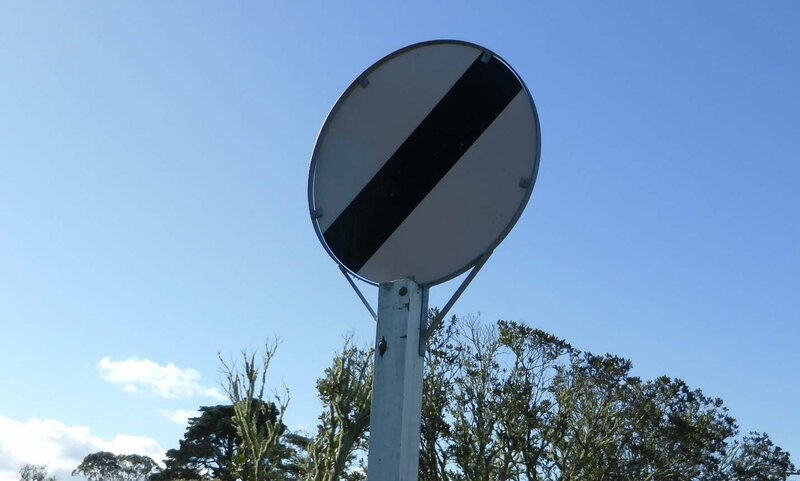 ‹ Should the New Zealand speed limit be raised? Should the New Zealand speed limit be raised?